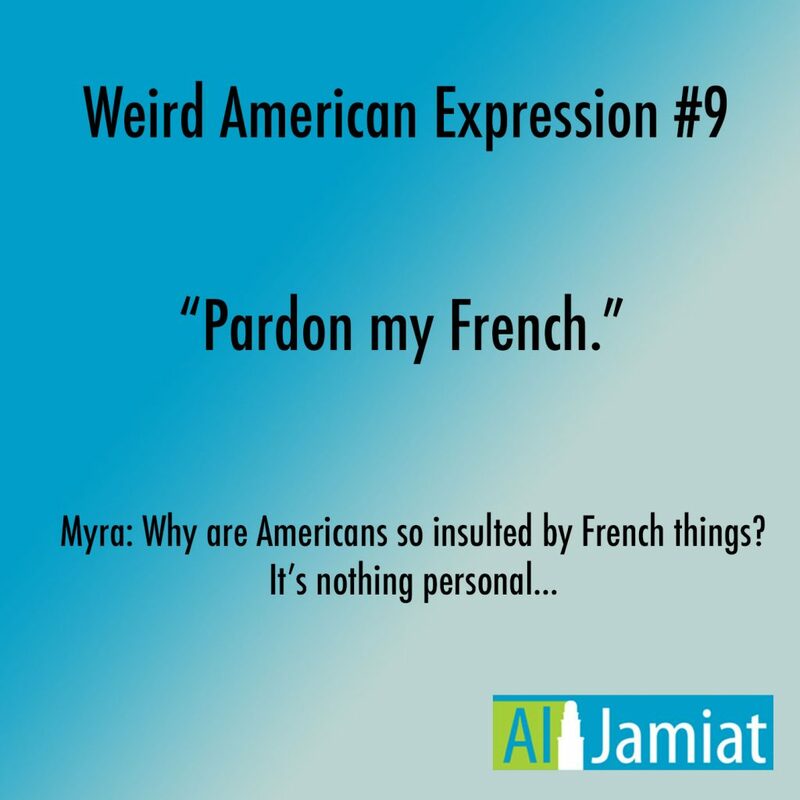 When speaking to an American have you ever found yourselves trying to explain very basic phrases to each other that just made NO sense to the other person, no matter how much you tried to explain it? Been there! Well here is a little guide to help you avoid those embarrassing moments and learn what some of these confusing slang phrases mean. 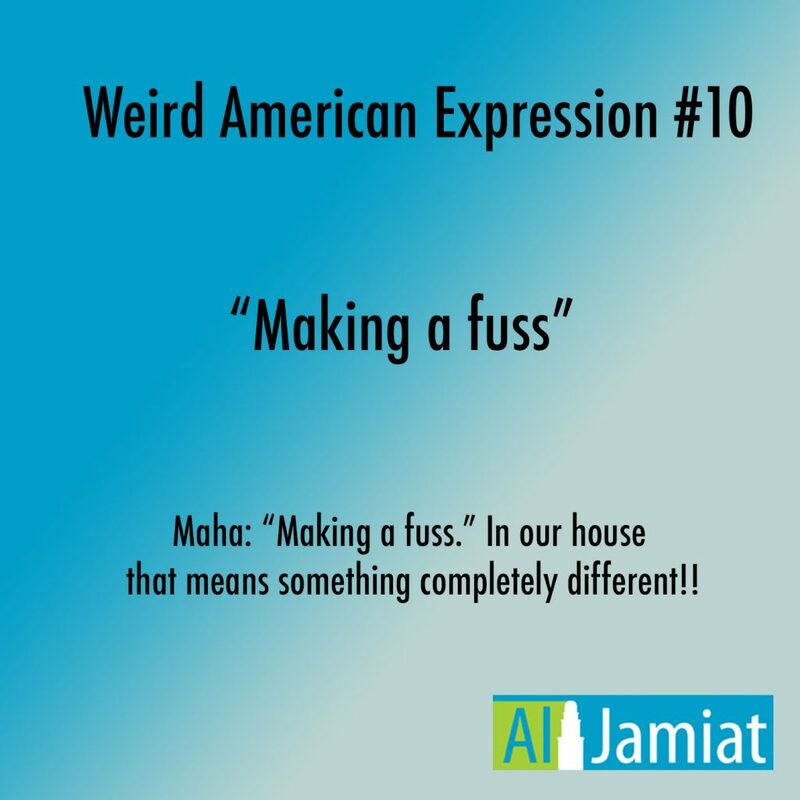 We’ve gathered a list of examples of some American expressions that have always been a little tricky to foreigners. Has this ever happened to you? We’d love to hear your stories and share them with other students. "I have to see a man about a dog." Basically this phrase is used when you don’t want to reveal what you’re going to do. Some people use it when they need to use the toilet, or to do something else private that they don’t want others to know about. 2. "To have your cake and eat it too." It can be used to say that one cannot or should not have or want more than one deserves or is reasonable, or that one cannot or should not try to have two incompatible things. During the days when ships were powered by sail, the captains log documented everything that happened during the day. As sickness could spread rapidly on a ship, there were often times where the number of sailors that were ill exceeded the space provided in the log to record their names. During these times, the excess names of the sick were recorded in the next column, which was reserved for the weather conditions of the day. Thus, it was not unusual for an ill sailor to be listed "under the weather". 4. "The penny has finally dropped"
5. "Let's just throw it at the wall and see what sticks." This one come from advertising lingo in the 1950s. It simply means to test out an idea and see the reaction. It originates from cooking pasta! When you’re not sure how long is enough for the pasta to be cooking, you take out a piece and fling it against the wall. If it sticks, it’s ready! 6. "There's no point in beating a dead horse"
In the early 1900s, in the days of stagecoaches, the person who used to ride next to the driver was the “shotgun messenger”. They would sit beside the driver, carrying a short shotgun (or alternatively a rifle), to provide an armed response in case of threat to the cargo. 8. "Let's throw it out there and see if the cats lick it." 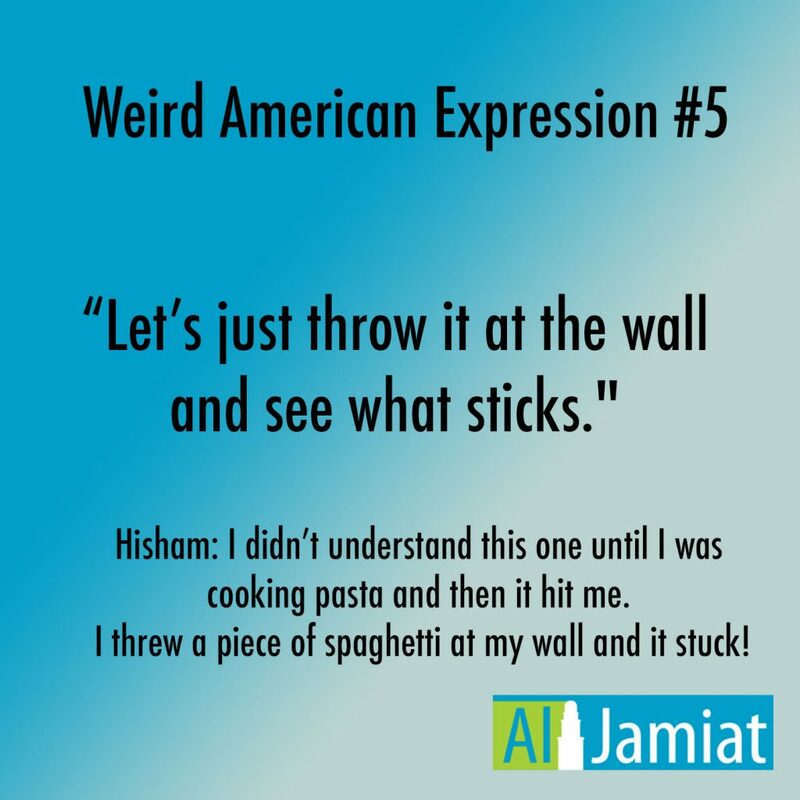 Similar to “Let’s throw it at the wall and see what sticks”, this one refers to testing out an idea. Why does a cat have to lick it, though? No one knows. 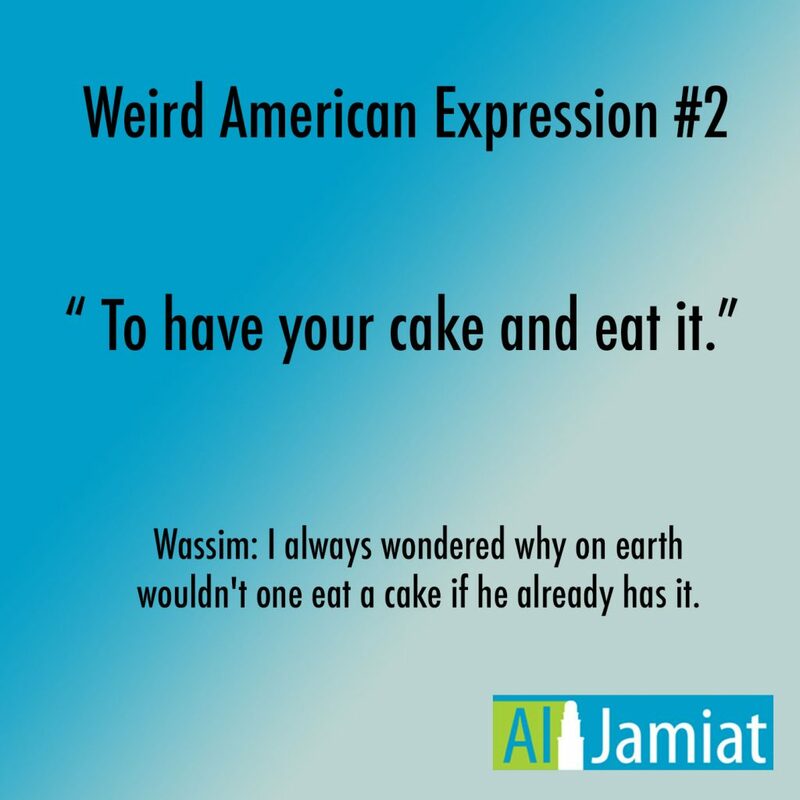 This one is usually only funny for Arabic speakers, but it’s really not that big of an explanation. It just means “to make a big deal” out of something. Sounds so simple but this one confuses a lot of people! It’s a roundabout way of saying “No, thank you”. Well then why can’t you just say no?! Well, it’s more common in the northeastern region of the US, and sometimes it could mean “I’m ready.” Or “I’m finished”. Another way to think of it is that it means “I don’t need anything else”. 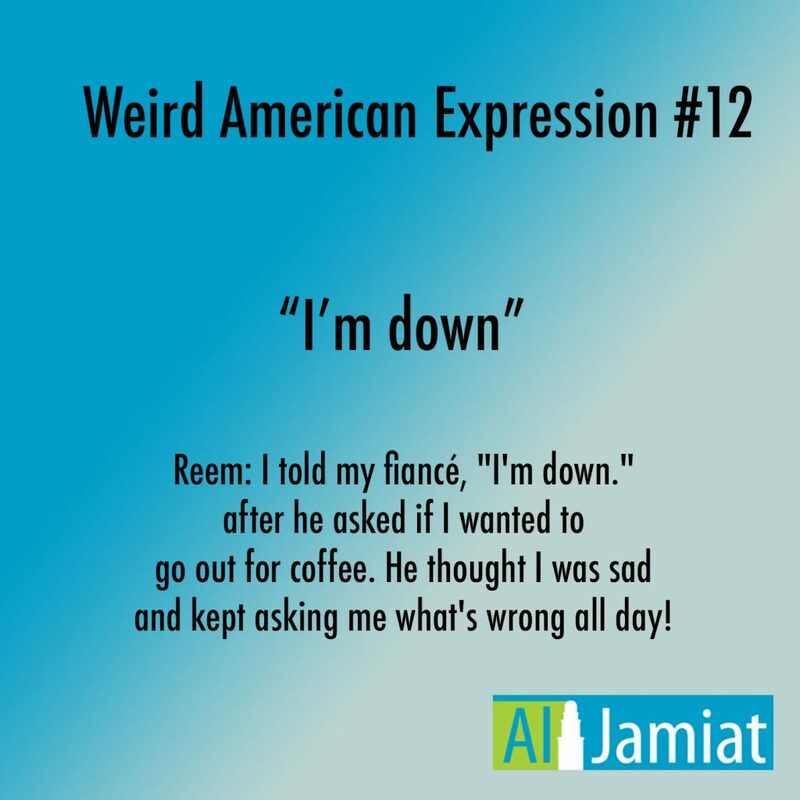 “I’m down with that” actually just means “I agree”! So do people ever say “I’m up with that?” Nope. 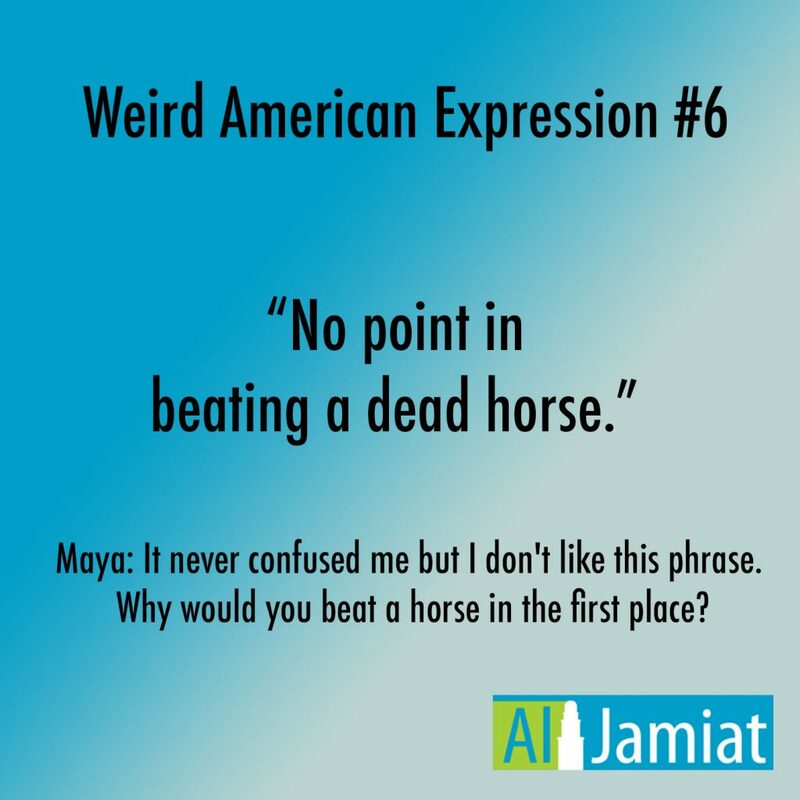 This is a common phrase used in speech, but never to be used in writing essays, so keep that in mind. 13. 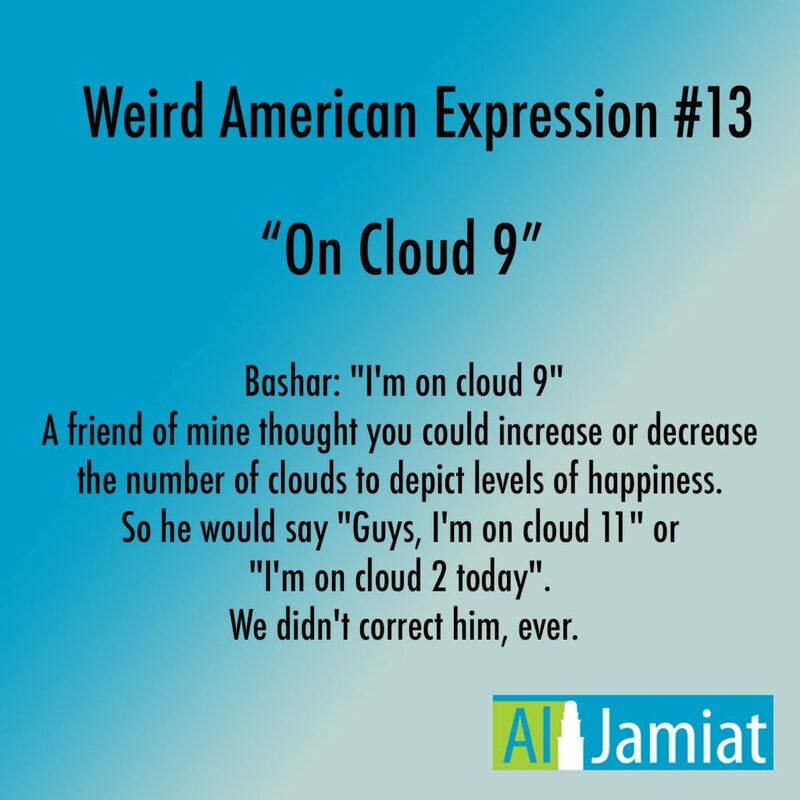 "I'm on cloud 9"
“On Cloud 9” means to be in a state of blissful happiness. Some people relate it to Buddhism and that Cloud Nine is one of the stages of the progress to enlightenment of a Bodhisattva (one destined to become a Buddha). Another explanation refers to the cumulonimbus or the thunderstorm could. This cloud often rises to forty thousand feet; and when you are on such a cloud, you are literally on top of the world. 14. "Getting up on the wrong side of the bed." Actually it’s possible that this phrase started as a superstition about which foot to use to get out of bed. “Getting up on the wrong side of the bed” means you are having a bad day, or a bad start to you day. There used to be a superstition that it was unlucky to get out of bed with your left leg first. Another explanation is that starting your day begins in your mind. Are you starting your day in a positive mindset, or a negative one? What about you? 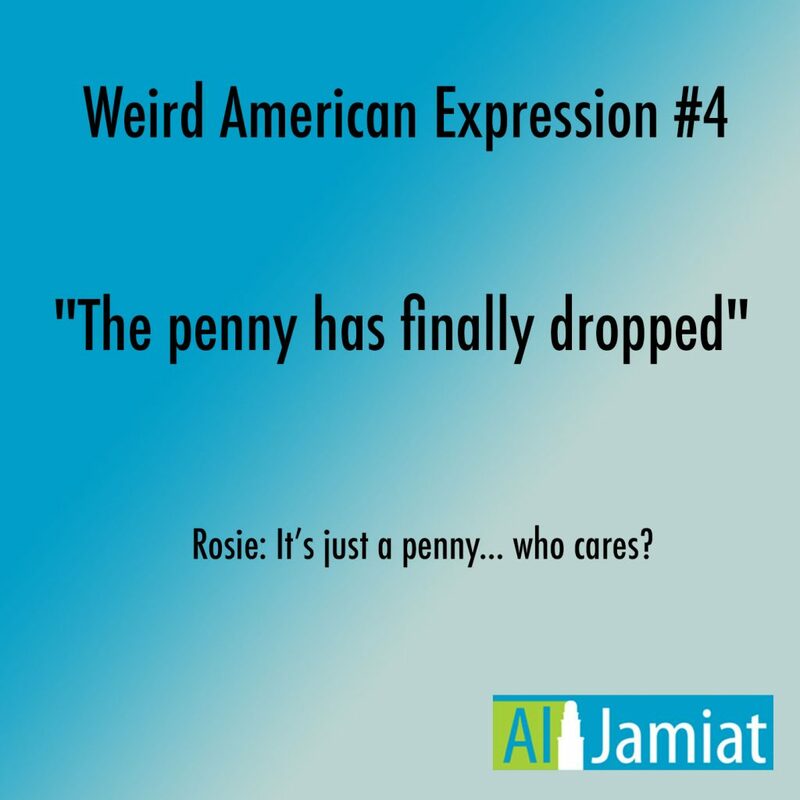 Do you have any funny stories to share about American slang? Share in the comments, we'd love to hear them, and others can always learn from you!